Cosmonautica is the latest in a long line of space trading sims, the stellar ancestors of the old "pirate math" games from the 80s. And yes, buying and selling goods across star systems serves as the core of the game, with profits enabling you to upgrade and arm your ship, hire new crew, and expand your business. In that sense it's a lot like the Palm OS classic Space Trader, spruced up with a decade's worth of portable gaming tech to enable a full 3D world and fully-realized characters. The galactic economy is deep and wide, and you'll have to navigate it well - and maybe bend a few importation and trade rules - to reap the most profit. But Cosmonautica is much more than that. 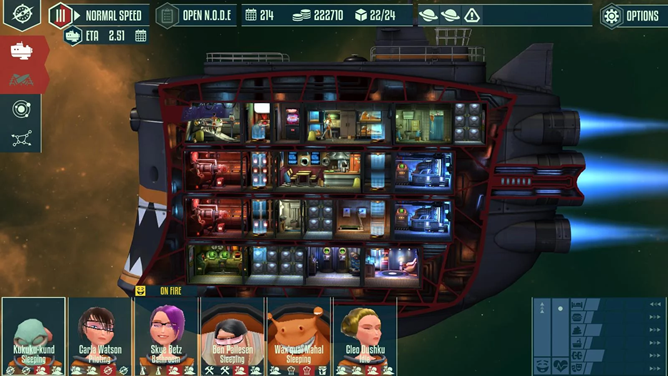 It's also a base-builder, with the kind of ship customizations that make games like Star Command so intriguing. 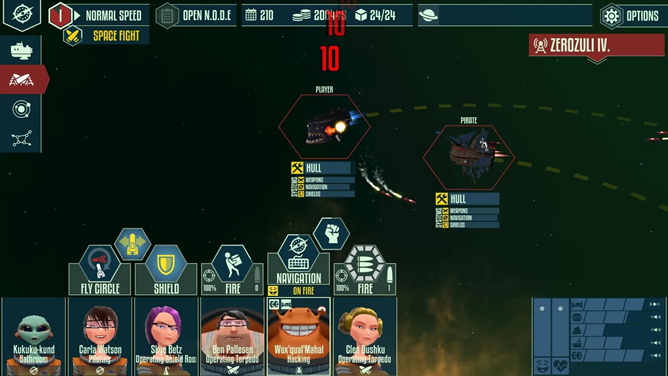 And a space combat game, where your ship type and equipment (and a little bit of skill) determine the outcome of battle. But the most impressive part of the game is simply its personality. Your eight-member crew is made up of humans and aliens that look like they're straight off of a Pixar drawing board, and the other denizens of spaceports are just as colorful. 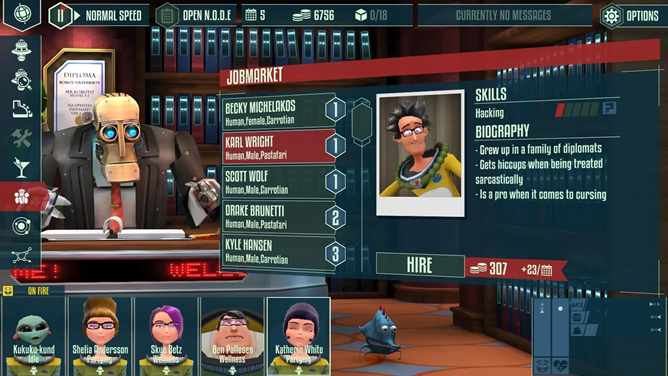 They animate in 3D as they go about their duties on your ship, and you manage them, Sims-style, with little avatars at the bottom of the screen. 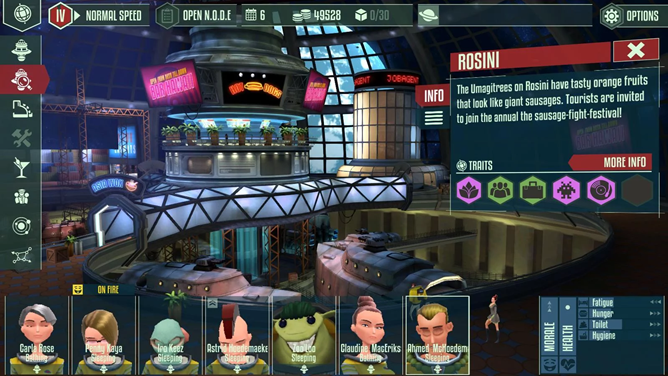 The game is technically impressive, and all the more so for being cross-platform - progress is saved across the PC, Android, and iOS versions of Cosmonautica. (That being the case, you might want to buy the PC version instead if you plan to play it on both. The developers will send you a free APK if you buy it from the Humble Store widget on the website.) It's been in early access on Android for over a year, and apparently still has a few kinks to work out according to Play Store reviews. That said, $7 for such an ambitious game, with no in-app purchases to be seen, seems more than reasonable.